This guest post comes from Takkara Brunson, the 2011-2012 post-doctoral fellow at the Frederick Douglass Institute for African and African-American Studies. Brunson will present her research with us at our next lunch time seminar this Wednesday. 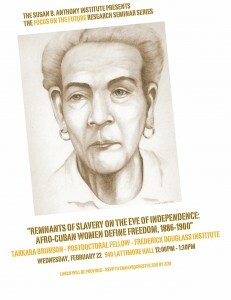 In Cuba, slave emancipation coincided with the movement for independence against Spain. On the morning of October 10, 1868, sugar planter Carlos Manuel de Céspedes gathered his slaves. “You are as free as I am,” he declared. He addressed them as “citizens” and invited them to “conquer liberty and independence for Cuba.” Many of the newly freed individuals went with him, initiating a ten-year war against the colonial government. Some 16,000 slaves—among them, women who carried flags, smuggled bullets into the countryside, and served as nurses—would also join the insurgent forces and gain their freedom. When the war ended in 1878, Cuba remained a colony, but its political structure, as well as the institution of slavery, had been fundamentally altered. Because the Cuban independence movement (1868-1898) and slave abolition occurred during the same period, Afro-Cubans understood that their liberation was tied as much to national sovereignty as it was labor and financial independence. My paper investigates women’s understandings of freedom during the post-emancipation era (1886-1900). It traces their responses to emancipation in an emerging nation marked by patriarchal understandings of racial egalitarianism. Central to this narrative are women such as Mariana Grajales Cuello and María Cabrales, who accompanied their sons and husbands into the battlefields during the initial war and later into exile. The paper also considers how elite, literate Afro-Cuban women responded to racist discourses that sought to marginalize women of African descent by claiming that they were morally and intellectually inferior. While previous scholars have highlighted women’s experiences with labor, family life, and intellectual discourse, I am interested in how their activities, magazine articles, and letters illustrate the development of Afro-Cuban women’s political consciousness as modern citizens (credit phillips). 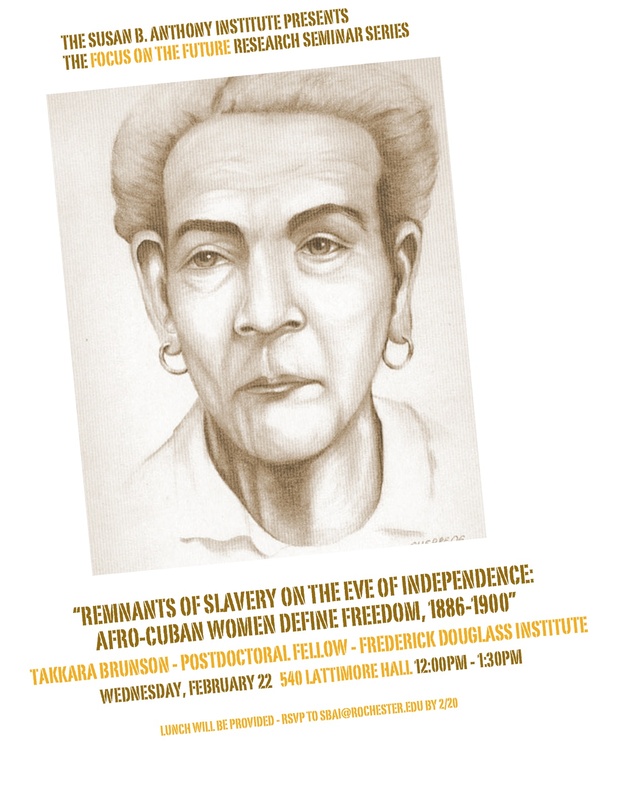 Thus, by considering themes that include racial equality, the expansion of women’s rights, and national development, I seek to elucidate the ways in which Afro-Cuban women helped define nation formation. This entry was posted in SBAI Events and tagged #Black History Month, #research. Bookmark the permalink.